In sitting down with Noah Norton, a sophomore on the Tech golf team, it quickly became evident that he is one of the most competitive student athletes to grace Tech’s campus. The top ranked amateur of the Jackets hails from Chico, California and brought significant talent to the table in his first year under the direction of head coach Bruce Heppler. Before coming to Atlanta, Norton won two matches in the 2017 U.S. Amateur, advanced to match play at the U.S. Junior Amateur, and advanced to the finals of the California Amateur among other accomplishments. When asked about last year’s performances, Norton mentioned that he and the team overall had a strong showing, but acknowledged that there is always room for improvement. As a freshman, he led the Jackets with four top-10 finishes and ranked second with a 71.43 stroke average, courtesy of ramblinwreck.com. 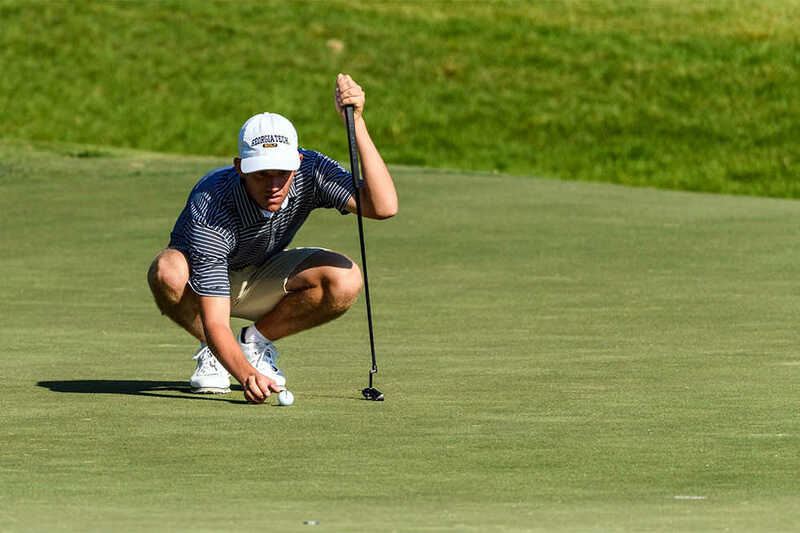 The Jackets did not qualify for the NCAA Finals after missing out by just one stroke this past season, which Norton will chase with his team this year. He was the only freshman named to the NCAA Regionals starting team last season, along with graduate Chris Petefish and current juniors Andy Ogletree, Luke Schniederjans, and Tyler Strafaci, an experienced bunch. His remarkable resume is matched by his passion for golf, a sport in which he says he was not always so talented. Norton first picked up a club at age five when his grandfather, an avid golfer himself, introduced him to the sport. It took him about seven years to find his groove, as one might expect from a child, but he remembers making the decision at age 12 to pursue the life and career of a professional golfer. He came across the realization that his hard work could outwork someone else’s talent at an early age. That philosophy has clearly served him well, as he continues to compete at an elite level with the Jackets. As he reached high school, the stages got bigger, and stakes have continued to increase in college. The transition from his high school team to that which he finds at Tech was “a lot smoother than expected,” Norton said. He attributed the ease which he found to the fact that he had the opportunities to participate in high-level competitions before joining the Jackets. Of course, the collegiate competitions have slight variances and offer a different mindset than that of competing as an individual, but the layout and amount of pressure is comparable to that found at the elite amateur tournaments, he adds. Norton faced a tough summer after sustaining a back injury towards the end of his freshman year, but his resolve has not waned. The Jackets face a tough schedule, but Norton expects them to continue to rise in the ranks as a team. Although he acknowledges that “everyone is going to say they’re better than last year,” he believes that the team as a whole has gained expertise. Specifically those that are returning and played last year such as Andy Ogletree, Tyler Strafaci and Luke Schniederjans have improved their yardage and putting precision in the eyes of Norton. He highlighted the talents of each of the three incoming freshman, a spot that he was in just a year ago. The freshmen will push the rest of the team to strive for the NCAA Championship. Connor Howe is a “consistent, hard worker” who brings quite a few different accolades into the program, such as a top-50 national ranking and four years of all-state honors from Utah. Luka Karaulic, a native of Georgia, has “athletic moves” that Norton thinks will serve him well in his collegiate endeavors. Last, but not least, Bartley Forrester is a walk on from Gainesville, Ga. that Norton says will be able to hone in on his mechanics to progress his current skills and add depth to the roster. “I believe that I am good enough,” Norton says when asked if he believes he has the material to become the best in his sport. While most collegiate athletes would say the same, one can tell that Norton stands behind his words with an unmatchable level of intensity. He will no doubt be a major contributor in determining the team’s trajectory this season.